As a high efficiency and high precision machining process, internal gearing power honing is often used in gear finishing after heat treatment. 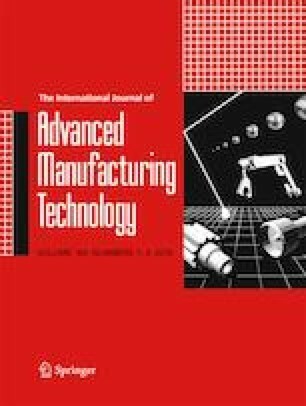 In order to improve the machining accuracy of internal gearing power honing, this paper analyzes the influence law of motion control error and machine setting error on tooth surface contour error. First, the tooth surface of the honing wheel and the workpiece gear is established by using homogeneous coordinate transformation and meshing principle. Second, the tooth surface of the workpiece with the control error and the setting error is constructed. The contour error and the sensitivity matrix of the tooth surface are also put forward. Finally, two numerical examples and an experiment are used to study the influences of control error and setting error on the machining accuracy of workpiece gear tooth surface. The research results can provide reference and precondition for the error compensation and improvement of machining precision of internal gearing power honing. This research received a financial support from the National Natural Science Foundation of China under plan no. 51575154.